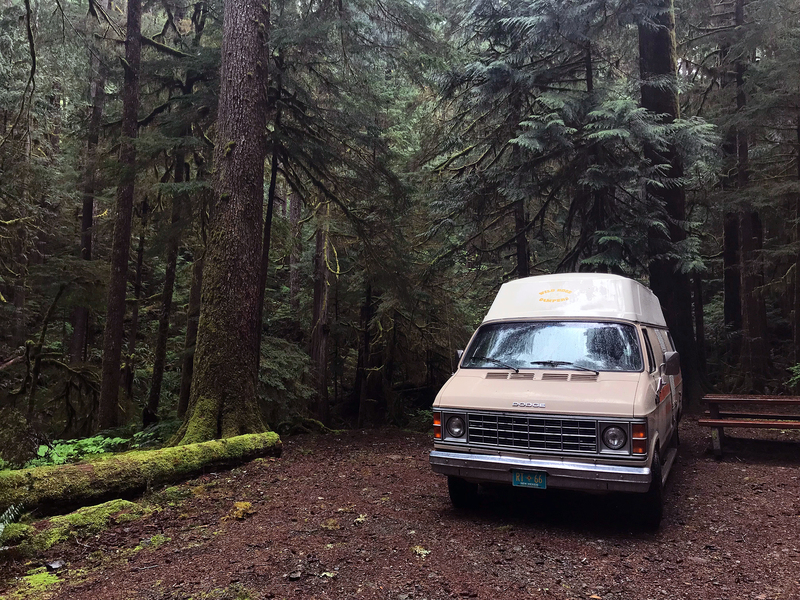 Camping in Vancouver Island’s rainforests outside of Port Alberni before catching some good food AND waves around Ucluelet and Tofino, British Columbia. Anyone who has been before knows that Vancouver Island has got it goin’ on. 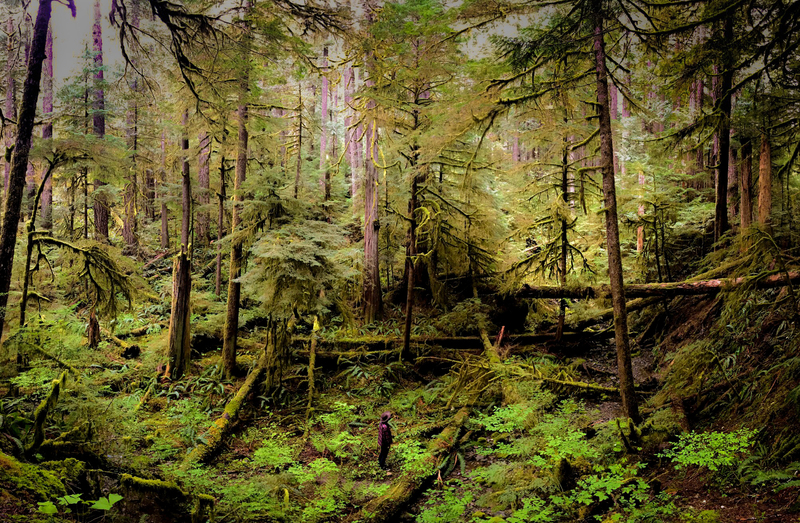 We’re hoping we can one day venture out to what’s truly considered “up-island” (Campbell River, Port Hardy, etc. ), but for this leg of our journey, we were en route to the furthest west we’d be going in Canada. 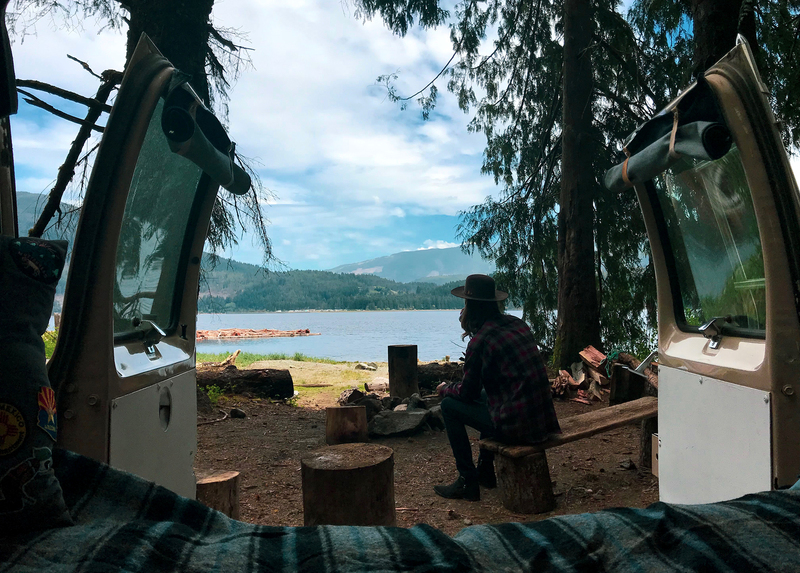 After scouring around the BC Sites and Trails website, we found a few really awesome free campsites within an hour of Port Alberni. Bear in mind that even though they’re a full hour’s drive, they’re less than 30km (18 miles) away – AKA some rough dirt road driving. What has now come to be one of my favourite camping spots to date, the first place we checked out was Arden Creek. A surprisingly well maintained logging road brought us to a small opening within the trees where the very discreet road in made its way down to the water. There are four designated campsites, each with different scenery ranging from a rocky beach to a crystal clear river hidden by mossy trees. This place was downright magical. We decided to stay there a few days while relaxing in the trees and watching the tide of the Alberni Inlet roll in and out like it was going out of style. 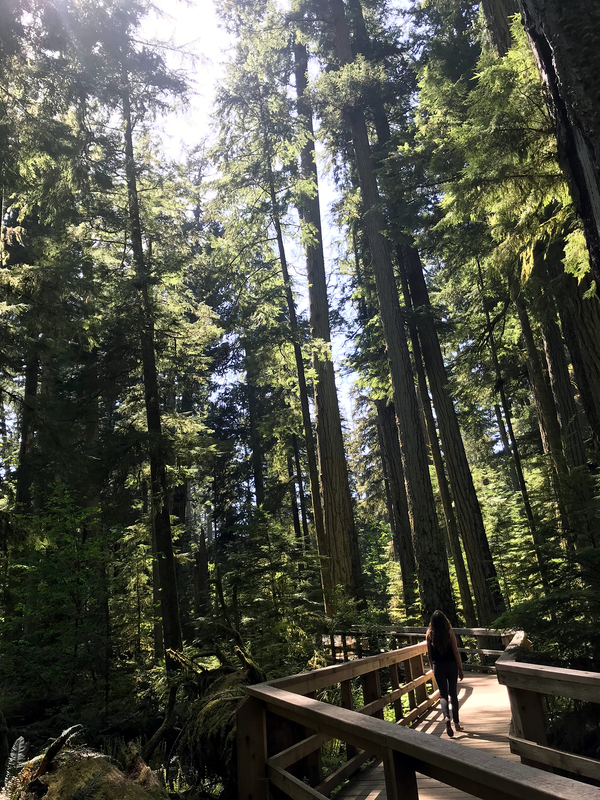 Once we were ready to start trailblazing again, we headed to Nahmint Lake, another gem of a BC Recreation Area hidden among old growth hemlock trees. As beautiful as it was, the drive to reach it gave Clementine a run for her money. Potholes are one thing but this road had some majorly steep grades that were quite a challenge when you’re a 34 year old bitty that weighs well over 5000 pounds. Just when the engine got a break from hill climbing, the brakes got their share of stress on a not-far-from-vertical descent down the mountain that made us look forward to climbing it on the way out (not). On one rock, someone actually spray-painted “KEEP ‘ER PINNED” as a reminder to keep that gas going…thanks helpful Canadian vandals! Anyway, the spot was super nice and definitely delivered on being remote. With all the vegetation and wildlife around, there was so much life enveloping the van into its flourishing mossy grasp. If you’re looking to get your jungle fix without leaving BC, it’s well worth the steep rocky drive in. Ultra scenic highway 4 led us through the mountains, by the wayside of picturesque Kennedy Lake and finally, back out to the ocean. 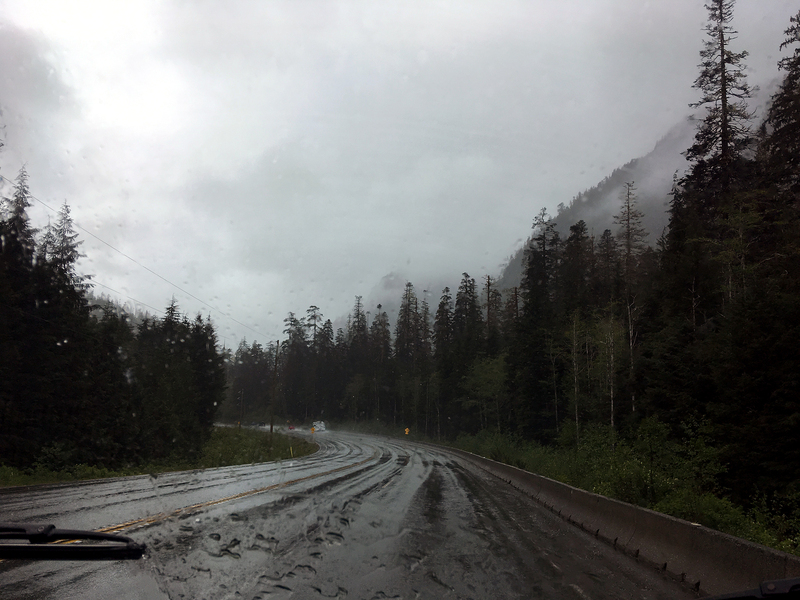 The rain came down hard that day and created a misty haze in the trees that looked pretty cool and doubled as a free carwash that was much needed after the alternating cycle of mud and dust that was the Nahmint Lake drive. As the clouds cleared, we arrived in the small fishing town of Ucluelet where we ate some tasty fresh cod at a food truck called Jiggers and passed by a bunch of other vans on the same pilgrimage. 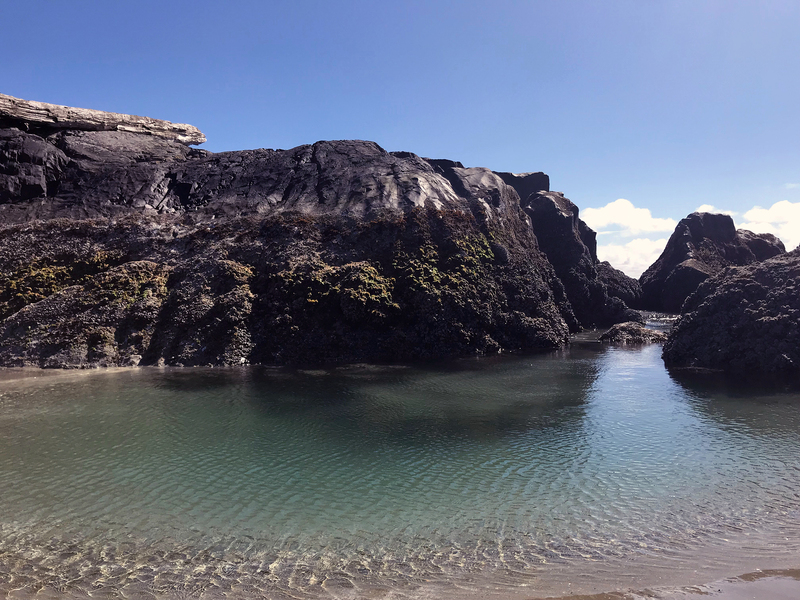 Continuing on the tail end of highway 4, we headed into Pacific Rim National Park where we camped at Green Point for a few days. I’m proud to say that this was our first time paying for a campsite in months and on this part of the island, it’s well worth it because boondocking is next to impossible. With our newly acquired 2018 Discovery Pass in tow, we got to explore Long Beach and sleep under the familiar jungley trees from Nahmint Lake. The only downside was that the trees created almost complete shade so it was consistently chilly and not great for solar, but luckily every campsite had an electrical hookup to keep that fridge cold. Nahmint Lake is surrounded by huge hemlock trees among tons of other plants. Keepin’ it green! Unlike many other coastal beaches, Long Beach is nice and sandy and has tons of really cool tidal pools that look like mini tropical oases. This also makes it a great place to surf since the waves in this area are pretty reliable. As it turned out, the weekend we were there happened to be the Rip Curl Pro surfing competition so Tofino was bustling. We went into town to grab some Tofino Brewing beers and some tasty cured meats and cheeses at Picnic Charcuterie before making our way to Cox Bay to scope out the competition. 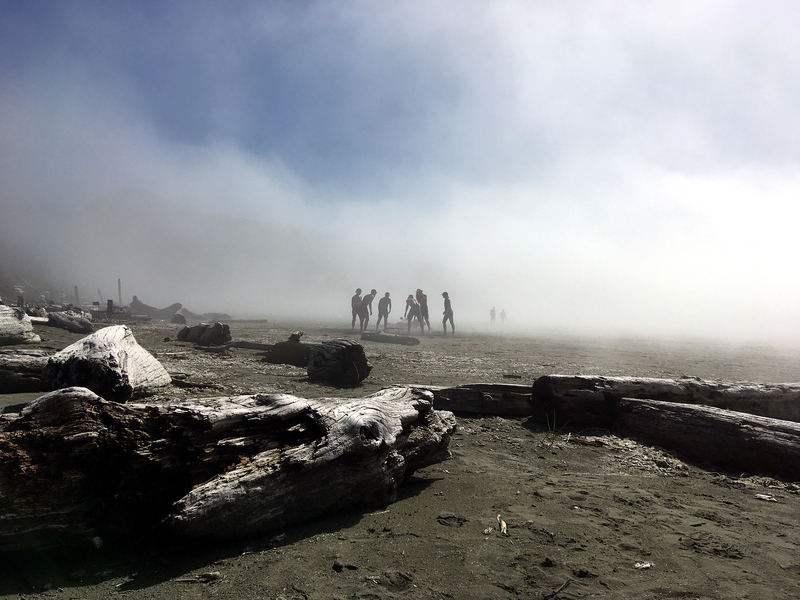 When we got to the beach, we were greeted by a thick fog that made it hard to see what was going on 20 metres away but were pretty confident that not many people were out surfing. We ate, drank and were merry with all the other people on the beach before heading back to the campsite for the night. 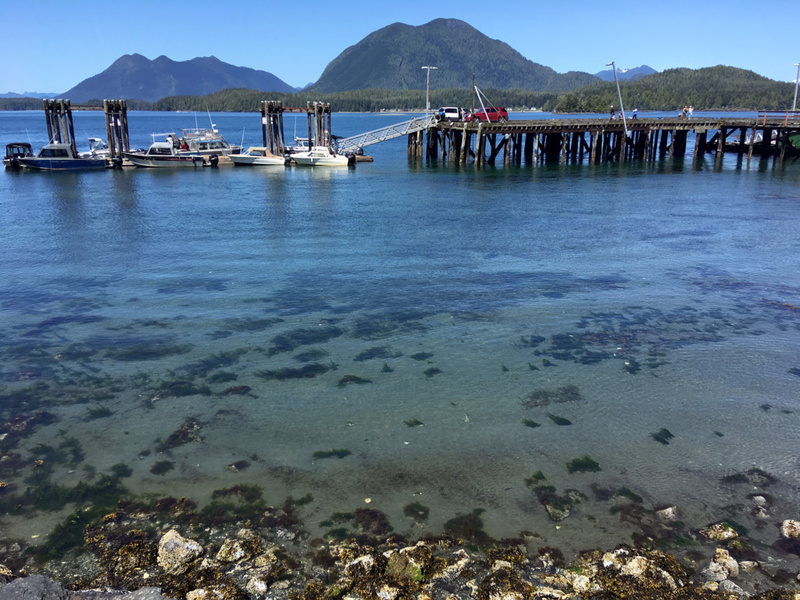 Tofino is a pretty tourist driven town with gorgeous scenery in all directions that felt more like Australia than Canada. It’s an easy place to spend money but also a great spot to just walk around and take in the views. 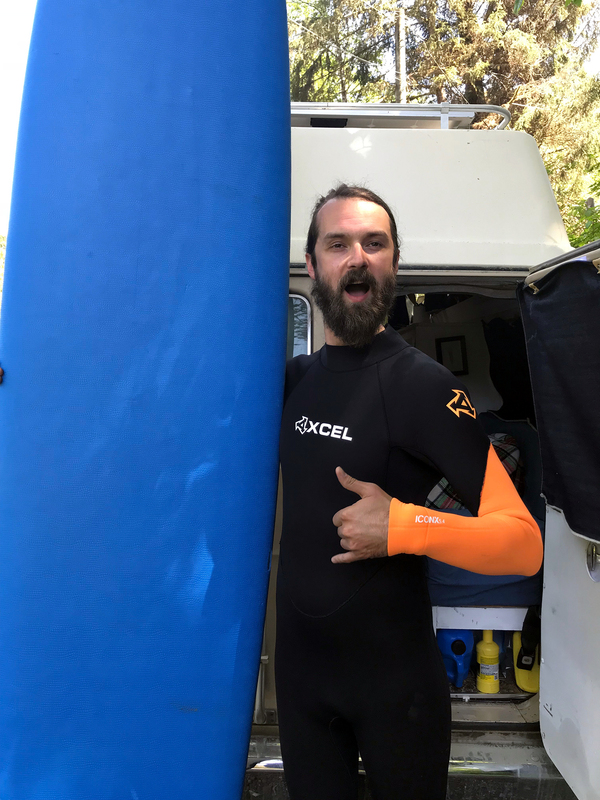 The next day, we rented some surfboards and wetsuits and spent the afternoon at Chesterman Beach surfing (or at least attempting to). Turns out the fog was too thick for the judges to see anything the day before so all the events were being jam-packed into one marathon of a competition on this final day of the weekend. Chesterman was much better suited for beginners so we happily got endlessly knocked over there. I mostly belly rode the whole time, which was super fun, but Justin managed to successfully stand up and surf the waves. Truthfully, the hardest part for me was carrying the damn longboard because it was double the size of me and super awkward. In any case, we had a great time in the water and were completely exhausted by the end of it. With one night left on the island, we managed to find a free spot near the local landfill (glamorous) that had a road as pothole-ridden as those in Mexico. To illustrate just how bumpy it was, we had an avocado in the banana hammock that got rocked back and forth so vigorously that it made guacamole on the ceiling – yum! We had a much-needed sleep before heading back to Nanaimo to catch the ferry to Horseshoe Bay where we’d begin our journey to the mainland and start heading east. Summer’s on its way and we’re stoked to be back in Canada!